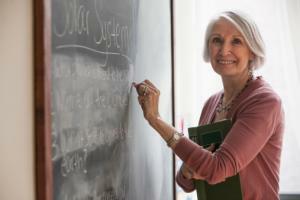 If you're interested in gaining a new skill, you may be pleasantly surprised to find there are many free educational options for senior citizens. Many community-based organizations, libraries, and institutions of higher learning offer free education to the elderly. Free senior educational opportunities are offered in the form of reduced fees, tax credits, scholarships and, in some cases, free classes or training. However, the availability may vary from one area to another. Some grants or scholarships may be offered to individual seniors based on specific income, skill, or other criteria. In other instances, the organizations offering services may receive grant money to pay for training programs that they make available to the general senior population at no cost. However, there are a lot of places to look if you want to get some free senior education. 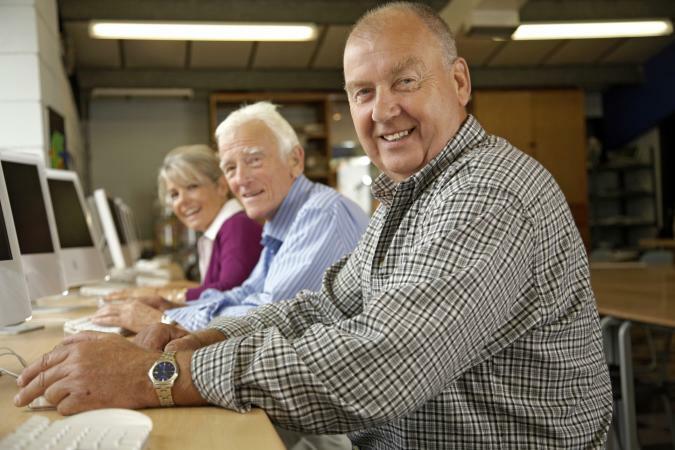 In many communities, the AAA operates senior centers that offer classes for crafts, computer training, and other types of educational programs. Local programs vary based on community-specific needs. You can locate your local AAA on the National Association of Area Agencies on Aging website. It's never too late to improve your computer skills. Each state operates a post-secondary education system consisting of a network of community colleges and universities. Some offer discounted or free educational opportunities to senior citizens. The state of Alabama, for example, sponsors a scholarship program for senior adults. This program provides free in-state tuition at two-year colleges to individuals 60 and over who qualify for admission. Requirements and availability of funds vary greatly from one state to another. If you're interested in finding out what opportunities might be available in your area, contact the financial aid or admissions office at the state schools in your area. Even if the school you want to attend doesn't offer specific funding opportunities for seniors, you may be able to qualify for a Pell grant or other need-based financial assistance program. The Bernard Osher Foundation is a nonprofit organization founded in 1977 to provide individuals ages 50 or older the opportunities for learning. The Foundation provides post-secondary scholarships to 120 colleges and university campuses across the United States. The Osher Lifelong Learning Institute offers a wide variety of classes including philosophy, history, art, music, political science, etc. These are non-credit classes without exams or grades. Course availability will vary depending on the state and campus location. A complete list of participating institutions can be found online. The AARP offers free job training to people age 55 and over with low incomes through the Senior Community Service Employment Program (SCSEP). Funded by the United States Department of Labor, this free senior citizen education program is designed to help mature individuals acquire job-related skills needed to enter, or to re-enter, the workforce. The AARP Foundation SCSEP program operates in 21 states and in Puerto Rico. You can search for programs by state on the AARP Foundation website. If your state isn't on the list, you can contact the Department of Labor (1-877-US2-JOBS) to find out if there is a SCSEP center in your region that is not associated with AARP or you can visit the Department of Labor website to find out more. 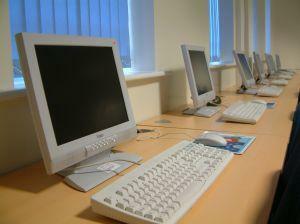 Your local library may offer a number of free personal and professional courses. The New York Public Library, for example, offers more than 80 free technology classes at their facilities across the city. The Older Adult Technology Services (OATS) program serves over 20,000 people a year at 24 technology labs across the city. Their premiere facility, the Senior Planet Exploration Center that provides 5 and 10-week digital technology courses along with workshops, talks, social and cultural events. The courses and events are all provided for free. Contact your local library or visit the calendar of events on their website to find out about their class offerings. Oftentimes all you need to participate in their classes is a library card. Another great way for seniors to learn new skills is to volunteer their time to help nonprofit organizations. Most nonprofits actively seek volunteer assistance on an ongoing basis and offer training opportunities to help volunteer workers get the skills they need to perform the types of services they need. Check with a United Way agency in your area to identify opportunities to acquire new skills and put them to use as a community volunteer. Getting older should not slow you down from personal or professional growth. Many organizations offer free or reduced-cost educational programs to mature residents so that seniors can continue to grow and improve during the latter part of life.